It was a point apiece for the Kent rivals as second-half goals gave both sets of fans something to cheer about in an occasionally feisty affair but one that was short on chances. 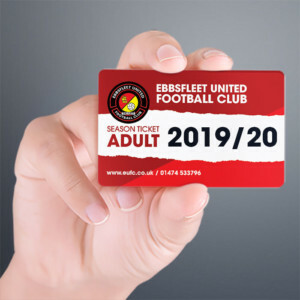 There was one change for the Fleet with Andy Drury out after an injury in training and that meant a recall for Ebou Adams. The Stones handed a debut to loanee goalkeeper Grant Smith, while Rob Swaine also started his first game and there were two more changes as Elliott Romain and Michael Phillips came in. The opening period was certainly fast and frenetic but with little real quality from either side. 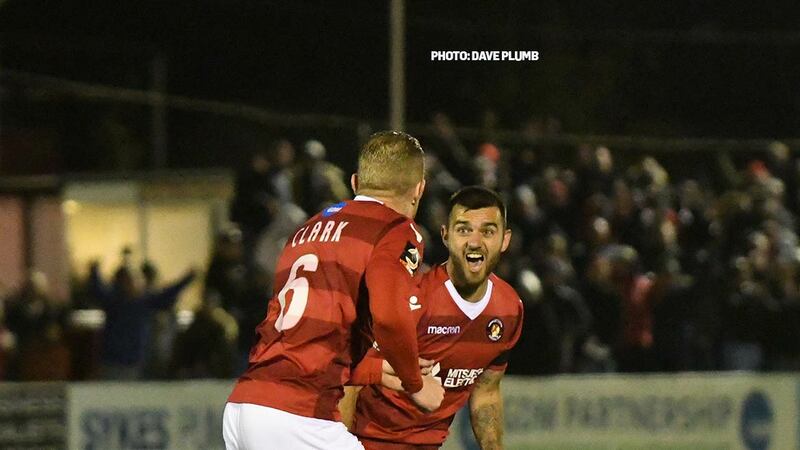 Corey Whitely was Fleet’s best outlet trying to exploit any space in between Alex Finney on the right and Will De Havilland in the middle, while Swaine had Danny Kedwell well-shackled. The Fleet, with Jack Payne dictating in midfield, began to get a foot on the ball and play more of a passing game from the quarter-hour mark but there was little penetration and when Whitely did get on the ball, he was sent flying by a well-timed Swaine tackle. 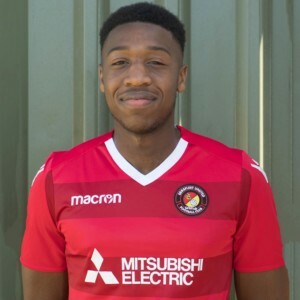 It was Payne who had the first effort on target, receiving the second ball after Myles Weston was blocked and his shot had Smith briefly worried, the Lincoln loanee having to dive on the ball at the second attempt. Then it was the Stones’ turn to enjoy a brief spell in the ascendancy. Dave Winfield did well to stop Romain in his tracks after Jake Cassidy set him free on the edge of the box. Cassidy was then guilty six minutes before the break of lashing a chance high into the sky after Will De Havilland headed down a set piece at the far corner. And the Stones had another moment that might have produced more when Blair Turgott cut inside Winfield and flashed a delivery low across the box but it zipped wide requiring just a touch to threaten Nathan Ashmore’s goal. 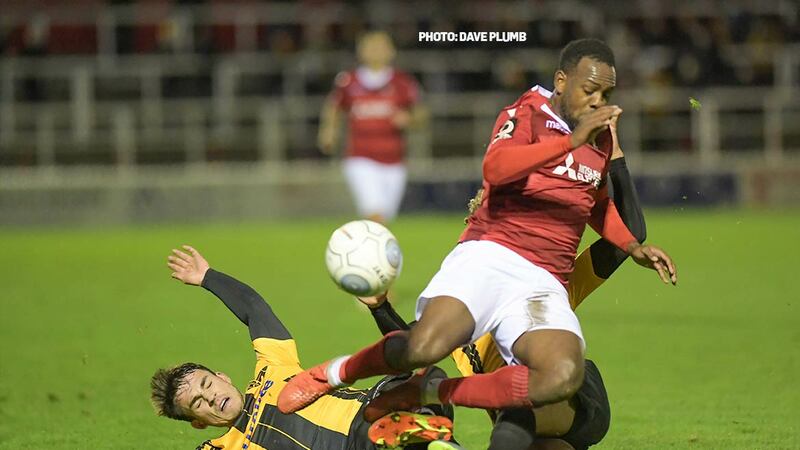 Maidstone lost Swaine on the stroke of half-time to a knock, necessitating a change of formation as Finney moved inside to replace him and substitute Seth Twumasi occupied a right-back position. 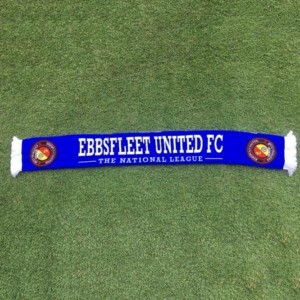 Any hopes that Fleet might exploit Swaine’s absence in the second-half were dispelled as the restart witnessed much of the same as what had gone before. 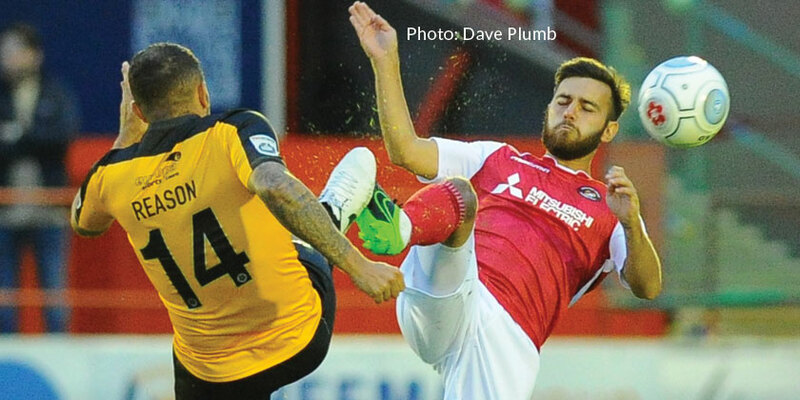 Indeed it was Maidstone who almost took advantage of a defensive lapse when Winfield and Ashmore confused each other trying to mop up from Romain, and the Stones striker took full advantage, almost poking an effort past Ashmore and into an empty net before he was blocked and Clark hacked clear. Payne orchestrated a useful counterattack for the Fleet on 51 minutes, finding Kedwell before Stones cleared and the former Blackpool midfielder then struck another useful effort that deflected behind for a corner. Five minutes later, the Fleet were in front. After a couple of Maidstone corners were seen off, play switched to the other end and after Simon Walton hauled Luke Coulson to the floor, earning himself a caution, Chris Bush floated in a high free-kick. Winfield headed the ball back into the middle and of all the people to meet it, Clark struck an excellent effort that flew past Smith for the opener. Maidstone almost conjured up an immediate reply, requiring some last-gasp Fleet defending at the far post before Payne whipped in a low free-kick at the other end and Coulson’s shot was saved by Smith. Kedwell then attacked from a wide-left berth, swinging in a delivery that caused a few hearts to flutter in the Swanscombe End but the visitors eventually scrambled the ball clear. Fleet didn’t appear in too much danger but they were conceding a couple of cheap set pieces and from one, Maidstone found their way back into the game. It came from a corner 15 minutes from time, Jack Paxman’s inswinger met by De Havilland who lost his marker and headed home from close range. 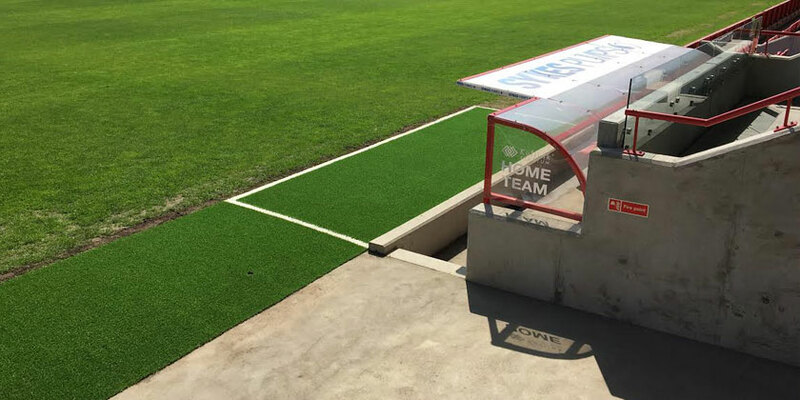 The home side took a while to settle after conceding and it encouraged the Stones to press higher up the pitch but they were unable to threaten further. A flurry of substitutions broke the final 10 minutes up and it seemed both sides had little else in the tank to find a winner.